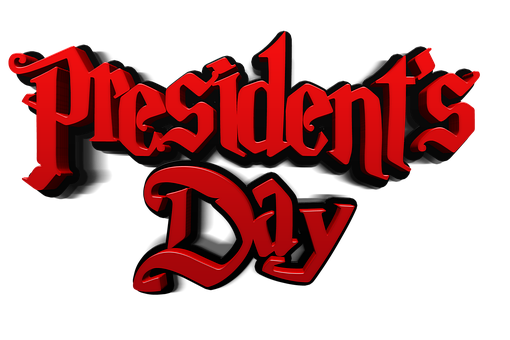 Presidents Day (or President's Day or Presidents' Day) is a federal holiday in February designated for honoring the legacy of America's presidents. It's also a time for a huge push in car sales across the country. And "Presidents Day" doesn't really exist because the holiday actually has another name. But whatever you call, it's a great time to get some bargains. The third Monday of February is Presidents Day, a federal holiday during which federal offices are closed and federal employees have the day off. The date for this holiday was set by Congress in the 1971 Monday Holidays Act. But the name of this holiday is actually Washington's Birthday and was originally meant to honor our first president only. But whatever it's called or whether it's even observed in your state, Presidents Day was seen in the early 1970s as huge opportunity in auto sales. And it has since been appropriated by other industries and retail arenas for the same purpose. "The industry latched onto the holiday in the 1970s and, through a grassroots effort, promoted the name as synonymous with savings. Of course, department stores and numerous other retailers have promoted sales over the weekend, much like other three-day holiday weekends" (National Constitution Center). Let's take a look, then, at some of these "numerous other retailers." four-day sale over the Presidents Day weekend (with even earlier access for Best Buy members) that included substantial savings on MacBooks, smart TVs, laptops, iPads, and headphones. Lenovo was right up there too with 75% off a range of laptops, tablets, and desktops. If you missed out the white sales earlier in the year, don't fret: there will be some great sales around and on Presidents Day. Target, for example, is again expected to offer 70% off on furniture and décor, as well as 30% savings on other selected home items. Mattresses, though, are where you can find some real bargains. Keep an eye on both Sam's Club and JCPenny, the latter of which had 60% off both mattresses and furniture. Further, last year, around 41% of all Presidents Day sales revolved around clothing, with some of these sales beginning around Valentine's Day. You can see a savings of at least 25% for most of these sales. But it does get even better on clothing. Last year Eddie Bauer offered 40% to 50% off, and Shoes.com and Wilsons Leather as much as 80% off on some items. Just be aware that although there are plenty of healthy Presidents Day sales out there, they may not be advertised clearly as such (as Valentine's Day sales are). So keep an eye on your favorite retailers to see what will be offered. With Valentine's Day and Presidents Day so close together, it's a great time to find some good deals. "Best Buy: The retail chain is offering an LG 55" Class OLED 4K smart UHD TV with 2160P resolution for $500 off its previous retail price, so it's going for $1,559 now. AllModern: The furniture store has Presidents Day sales from February 13-20 with the code 'GOFORIT,' garnering you 15% off on beds, chairs, rugs, sectionals, sofas and more. Lowe's: Appliance lovers can get up to 35% off on a lot of appliances, as well as a discount of 39% for its Samsung Stainless Steel French Door Refrigerator. Samsung: You can get a QLED 4K TV from the electronics company for up to $1,555 off. Walmart: The more budget-conscious consumers who need a TV can get a Hisense 65" Class 4K Ultra HD 2160P Roku Smart LED TV for under $500, a $200 discount. Birch Lane: The retailer is offering an extra 15% off the whole site from February 14 through 19, as well as free shipping with the code 'GEORGE.' You can get deals on dining tables, rugs, nightstands, TV stands, dressers and more. Ghost Bed: Get a $100 discount on a bed here" (InvestorPlace). Presidents Day is really the first big sales event of the year. So a lot of people will be coming out of winter hibernation to take advantage of the sales, and the competition will be stiff. Here, then, are a few tips from Chiff.com to help you beat your competition and get the bargains you want . . .
A with any undertaking, preparation is the key to success. So be sure to make a list ahead of time so that you'll know exactly what you want and what to look for. This way you can head right to the items ahead of the pack. Typically, Presidents Day sales involve a good number of "early-bird specials." To take advantage of these, you will need, then, to get up early and get started shopping early. And don't get distracted: stay focused on your sales goals – because the competition definitely will be. If you're not familiar with the store layout, take the time to scout it out and learn the layout well before the sales begin. You will know exactly where in the store the items you want are located, and this will give you an edge over the competition. It's easy to get caught up in the thrill of the hunt and the excitement of getting great deals, but don't forget safety. In the midst of big sales-day crowds, safety lies in numbers. So be sure to go shopping with friends and/or relatives, and don't risk it alone. And all the great Presidents Day sales aren't limited to brick-and-mortar retail stores either. You can find a ton of great deals online, too – like these sales on hats & caps and bandanas. When you sign up for Wholesale For Everyone's exclusive membership, you get special privileges and access to offers like . . .
We've got you covered for Presidents Day!